Jordan Black (North Phoenix Prep, So.) is ranked as the top returning boy in Division IV with a 15:51.8 performance from Doug Conley. Meanwhile Jihad Nodman (Hopi, Jr.) ran 16:08 and Talon Smith (Joseph City, Jr.) ran 16:10 at Desert Twilight. At the Division IV State Championships Talon Smith would hold off Nodman for a win by 7 seconds. A handful of others, are capable of approaching and maybe even breaking 16-minutes including, but not limited to, Adam Whitehead (Arete Prep, So.) Nalzheii Lonetree (Northland Preparatory Academy, Jr.), and Justin James (Valley High School (Sanders), So.). 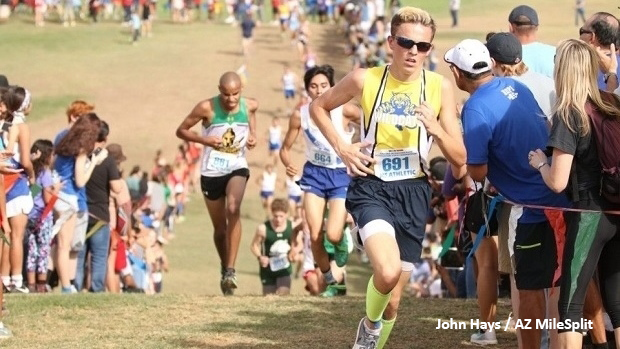 How many boys will go under the 16-minute barrier this fall? And can Talon Smith retain his Division IV Title come November?